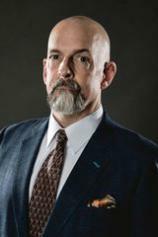 Neal Stephenson is the author of REAMDE, ANATHEM, and the three-volume historical epic the Baroque Cycle (QUICKSILVER, THE CONFUSION and THE SYSTEM OF THE WORLD), as well as CRYPTONOMICON, THE DIAMOND AGE, SNOW CRASH and ZODIAC. He lives in Seattle, Washington. Military intelligence operator Tristan Lyons approaches Melisande Stokes, an expert in linguistics and languages, about translating some very old documents, which, if authentic, are earth-shattering. They prove that magic actually existed and was practiced for centuries. But the arrival of the scientific revolution and the Age of Enlightenment weakened its power and endangered its practitioners. And so the Department of Diachronic Operations --- D.O.D.O. --- gets cracking on its real mission: to develop a device that can bring magic back, and send Diachronic Operatives back in time to keep it alive…and meddle with a little history at the same time. A catastrophic event renders the earth a ticking time bomb. In a feverish race against the inevitable, nations around the globe band together to devise an ambitious plan to ensure the survival of humanity far beyond our atmosphere. But the complexities and unpredictability of human nature threaten the intrepid pioneers until only a handful of survivors remain. Five thousand years later, their progeny embark on yet another audacious journey into the unknown…to an alien world utterly transformed by cataclysm and time: Earth. Explores and blends a diversity of topics, including technology, economics, history, science, belief, and philosophy. In this high-stakes thriller, a wealthy tech entrepreneur gets caught in the very real crossfire of his own online fantasy war game.